Congress passed legislation in May to protect consumers against identity theft by removing fees associated with credit freezes. 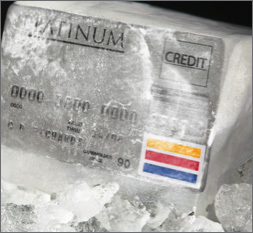 Currently, consumers need to pay between $2 and $10 per credit bureau to freeze their credit—depending on the state. Thanks to the new law (S.2155 – Economic Growth, Regulatory Relief, and Consumer Protection Act), consumers will soon be able to freeze their credit at no cost. In the meantime, Consumers Union outlines the costs per state here for freezing your primary credit reports: Equifax, Experian, and TransUnion. 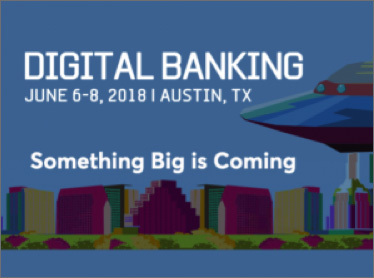 At the Digital Banking 2018 Conference in Austin, Texas, EverSafe CEO Howard Tischler, was a presenter on a panel entitled “Innovating for the Forgotten Generation.” The session was led by Theodora Lau, Founder, Unconventional Ventures and co-presenters included, Brad Kotansky, Founder and CEO, Onist Technologies, and Catherine Flax, CEO, Pefin. The speakers discussed the potential for innovators to have a transformative impact on the 50-plus generation since they make up more than $116 billion of revenue in traditional banking in the US, but are frequently left out of conversations involving emerging technology and innovation. Assigning a “trusted contact” at each financial institution where parents bank, so that steps can be taken to notify that individual if there is suspicious activity. According to a recent McKnight’s Senior Living article, the FBI reported last month that older adults age 60 and older lost more than $342 million to internet scams in 2017. 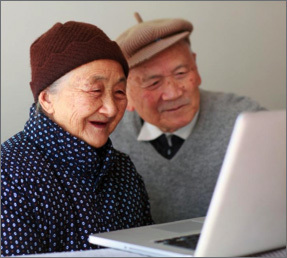 According to their Internet Crime Report, the FBI’s Internet Crime Complaint Center received a total of 49,523 complaints from older adults last year. 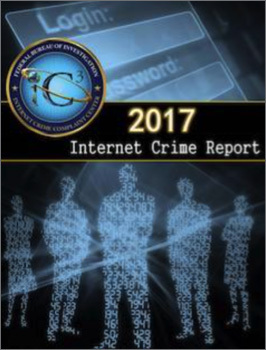 Findings released in this report indicate that the top three crimes reported by victims included non-payment (where goods and services are shipped but payment is never rendered), non-delivery transactions (where payment is rendered but goods or services are never received), personal data breaches, and phishing scams. Consumers who wish to access the report or file a complaint with the Center can visit its website. Cell-phone account fraud is a rampant threat. A Consumer Reports piece takes a closer look at this widespread scam. Alarmingly, between 2016 and 2017, the number of victims of fraudulent mobile-phone accounts rose 63% to about 340,000 Americans. 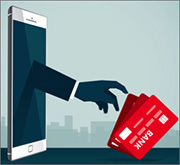 By opening an unauthorized cell-phone account in a consumer’s name, a scammer can drain that victim’s bank account, use their personal information to sign up for credit cards, and sell their phone number to other criminals. To avoid this scam, consumers can freeze their credit information, which is typically used to open a cell-phone account, by visiting the National Consumer Telecommunications and Utilities Exchange. Another protective measure is to use a PIN number for your account which can be obtained by contacting your cell-phone service provider directly. Finally, by using a credit monitoring service like EverSafe, consumers can be alerted in real-time to an un-authorized credit check by a cell-phone provider. The 4th Annual Global Summit and 13th Anniversary of World Elder Abuse Awareness Day (WEAAD) was observed on Tuesday, June 5th at the Securities and Exchange Commission (SEC) building in Washington, D.C. The Summit was convened by the National Adult Protective Services Association, the National Center for Victims of Crime, and the International Network for the Prevention of Elder Abuse. 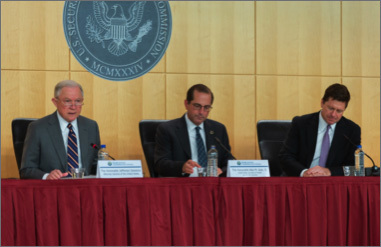 The day started with the spring meeting of the Elder Justice Coordinating Council, which began with remarks by U.S. Health and Human Services Secretary Alex Azar, Attorney General Jeff Sessions, and SEC Chairman Jay Clayton. In the afternoon, speakers included WEAAD Chairperson Betty Malks, and WEAAD Founder Elizabeth Podnieks, PhD. Topics on the program included Canadian Initiatives to Address Elder Financial Abuse, and Improving the Financial Health of Older Adults with Data Sharing. This month, to highlight World Elder Abuse Awareness Day on June 15th, the American Bankers Association (ABA) Foundation released a free guide with helpful information, resources, and tools for preventing elder financial abuse. 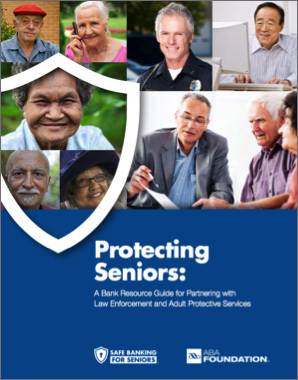 The manual outlines the most common scams targeting seniors and provides suggestions on what banks can do to help protect older adults—including forming partnerships with law enforcement agencies and Adult Protective Services. For more information on senior-focused banking protections and the Safe Banking for Seniors Program visit: www.aba.com/seniors.